Which Mascara and Eye Pencil is the Best for Blue-Green Eyes? When we speak about green eyes they remind us of witches and hypnoses. Well, women with green eyes have always been believed to have magic powers. In addition they have always been considered to be attractive and beautiful. Unfortunately only 2% of women all over the world were lucky to be born with green eyes. More often we can meet girls who have grey-green eyes. Such combination of colors is not very rare. Nevertheless it is also a great gift of nature for all women who have grey-green eyes. If you also have this color you should use this generosity of nature and stress their color in order to attract every man around you. Which Mascara and Eyeliner is the Best for Blue-Green Eyes? If you manage to show this unforgettable tone of your eyes you will obviously be admired by all men. That is why the majority of actresses, models and pop-singers have green eyes. It make their character more sensitive and at the same time seductive. You can also use different types of make-up in order to stress the color of your eyes and look like Jolly, Drew Barrymore and other famous actresses who have been always considered to be very beautiful. If you want to stress the tone of your eyes and make it even brighter, you need to be very careful while choosing the tone of mascara and eyeliner. There are lots of different variants for those who have grey-green eyes. You should choose a color which suits your type and style. However lots of experiments have already proved the fact that you should avoid using green or blue shadows as they will still the natural beauty of your eyes and make them look pale. You should exclude these colors from your make-up. Even pink color should be used very accurately. Do not use black eyeliner as well as dark-black mascara. Try to pick up natural color for your make-up. 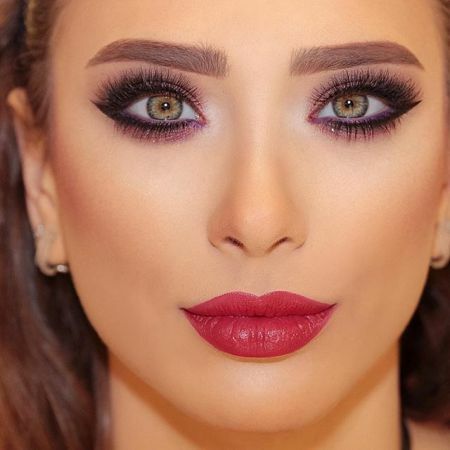 Speaking about mascara, some experts say that brown color is the best bet for those women who have grey-green eyes especially when it comes to daily make-up. If you want to try something more interesting and exotic, here are some new products from the world’s famous brands. They will help you to make the color of your eyes brighter. Wonder Lash Eye Enhancer Mascara was developed by Oriflame for grey-green eyes. Main feature of this mascara is its Purple Shimmer tone and combination of purple particles and pigments. You will also certainly like Max Factor Eye Brightening Mascara with its Black Ruby tone. It has a big number of gold shine. The color is very intensive and has a light red and brown tone. L’Oreal Volume Million Lashes Luminizer is another great option for women with grey-green eyes. Natural make-up is the best bet for those who have grey-green eyes. Brown, dark-grey and teal pencils will be the best choice. Chocolate eyeliner will also be a good addition to the make-up. In case you want to increase the volume you will need white or gold eye pencil. You will not face any difficulties in choosing the best color for you as the option is very wide. Every girl with grey-green eyes will be able to find cosmetics which will suit all her demands and needs. 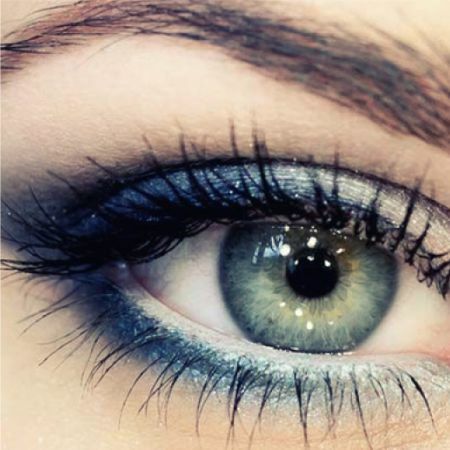 Like the article «Which Mascara and Eye Pencil is the Best for Blue-Green Eyes?»? Share it with friends!